The Palm Pre Plus and Palm Pixi Plus may not be launching on Verizon until Monday, but don’t let that lead you to believe that they’re not already out there. 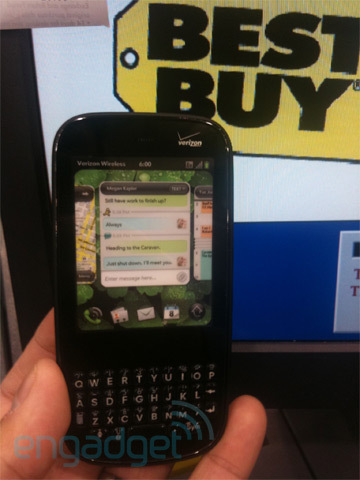 Engadget has noted that the two refreshed webOS handsets are landing in stores across the United States in preparation for the release, including purveyor of all things electronic: Best Buy. Of course, they’re not for sale at Best Buy just yet, but they are showing up in stock rooms (which should be little surprise, considering that weekend shipping costs more than weekday). Anybody feel like moseying on down to their local big blue box and convincing a hapless Best Buy employee that they need to sell you the phone now? Thanks to Complex Pants for the tip!